China Monday voiced confidence in Zimbabwe’s national development as the country’s new president pledged to protect international investment in the country. Sworn in as president last Friday, Emmerson Mnangagwa promised in his inaugural speech that foreign investment would be safe in the country and Zimbabwe would play its part in regional and international organization. 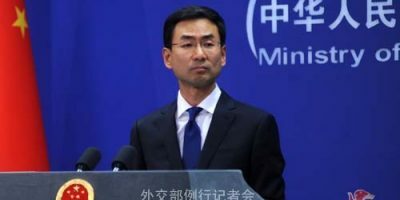 “We have noticed that Mnangagwa’s speech was welcomed by the Zimbabwean people and the international community,” Foreign Ministry spokesperson Geng Shuang said at a regular news briefing. “China supports Zimbabwe to follow a development pattern that suits its own conditions and believes Zimbabwe will achieve greater development under the leadership of President Mnangagwa,” Geng said. China hopes to advance relations and cooperation with Zimbabwe under the principle of equality and mutual benefit, the spokesperson said. He said China will do all in its power to support Zimbabwe to accelerate economic and social development and improve people’s living standards.